The Board continues to support two hot lunch programs for elderly Jews, Rabbi Moskovitz said in response to a question. Over 100 people are served daily, a relatively large group in the large dining hall of the synagogue and a smaller group in the building housing the preschool and lower school. They would like to expand this program, Rabbi Moskovitz stated, but the cost of doing so is prohibitive. JDC provides no support to this project, he said. Alexander Feldman, a local oligarch and member of the Ukrainian Rada (Parliament), continues to operate his own welfare program in conjunction with the synagogue, responded Rabbi Moskovitz to a question. Mr. Feldman personally receives local Jews at the synagogue who petition him for various forms of support. In addition to providing funds for food, medical care, and housing, Mr. Feldman also pays lawyers to help individuals to resolve legal problems. He usually distributes about $15,000 monthly in these efforts, said Rabbi Moskovitz. Alexander Feldman controls the massive Kharkiv Barabashovo wholesale and retail market, as well as a number of other business concerns. Photo: http://avec.ua/en/press-center/detail.php?ID=139. Retrieved October 4, 2012. Responding to a question about the local STARS program, Rabbi Moskovitz said that about 65 young people currently are enrolled in it. Stipends are issued to participants only after successful completion of content exams, he said. The program would be stronger, Rabbi Moskovitz continued, if the study sessions were accompanied by occasional social events and interest clubs, but financial resources do not exist for such activities. Asked about any remaining programs of the Orthodox Union (Union of Orthodox Jewish Congregations) in the city, Rabbi Moskovitz said that an Orthodox rabbi affiliated with the OU comes to the city on some holidays, apparently to meet with former activists. However, the OU no longer has any local premises so it is difficult for them to conduct programs. The entire OU venture, observed Rabbi Moskovitz, was developed with good intentions and good will, but little sophistication. Relations with the Joint Distribution Committee are "excellent", said Rabbi Moskovitz. However, he hopes that their new building will enable the hesed to engage in more "substantial" health initiatives serving Jewish elderly. Returning to a topic discussed previously, he observed that JDC could serve hot meals to Jewish seniors in the new building, but they are not engaged in such service. On the other hand, he continued, JDC initiated a seminar on anti-missionary measures, which was well-conceived and well-planned; cooperation with the synagogue on this event was superb, Rabbi Moskovitz observed. 33. The Jewish Agency for Israel (Sochnut, JAFI) office in Kharkiv supervises all JAFI programs in Kharkiv and the surrounding region, Donetsk, and far eastern Ukraine. 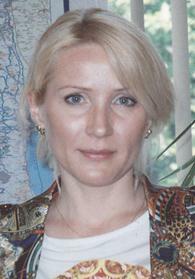 The area director is Elena Faingold, a native of Donetsk who moved to Israel some years previously. Ms. Faingold observed that Kharkiv is suffering from large-scale unemployment. Many factories had closed, she said, throwing thousands of people out of work. Skilled engineers who had worked as professionals in these plants are now selling goods in the market (рынок) just to earn a living. Many conventional shops are empty, although some luxury stores do attract a small group of very wealthy customers. The gap between rich and poor is enormous, she continued. As dreadful as the situation is in Kharkiv, Ms. Faingold stated, it is even worse in smaller cities and towns. Under such conditions, it is not surprising that aliyah has risen, notwithstanding the reality that many people are very assimilated and that leaving the country can be a complex procedure. Individuals who close small businesses need to bribe a number of bureaucrats in order to obtain permits to do so. JAFI holds aliyah fairs and seminars in different cities, renting large halls and then chartering buses to bring interested people from smaller towns to the events and take them home again. Different Israeli municipalities and JAFI aliyah programs set up booths to promote themselves, and aliyah counselors advise individuals and families on appropriate plans. Although JAFI suggests that potential olim (immigrants) visit JAFI offices and begin Hebrew ulpan courses first, some local Jews appear at aliyah promotional events without prior registration and with little awareness of the immigration and absorption process. Ms. Faingold and her husband go to different cities and towns in the periphery every Sunday to manage these fairs and seminars and just to talk with local Jews. Speaking of the large student population in Kharkiv, Ms. Faingold said that most Jewish students at these 49 institutions come from completely assimilated families. They know nothing of Jewish tradition, they have no Jewish roots, and they are apprehensive about associating with Jewish groups. 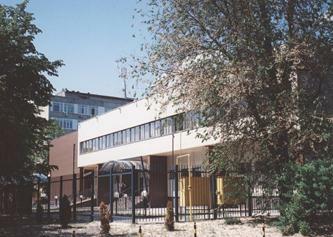 The Israel Culture Center, she acknowledged, has been able to bring some Israeli academics to Kharkiv universities and institutes for lectures; some local Jewish students and professors who don't openly identify as Jews are attracted to these lectures and sometimes approach the presenters after the official session and speak about Israel with them. She wishes that JAFI had the funds to operate com-parable programs. Both Elena and George Faingold are exper-ienced emissaries. 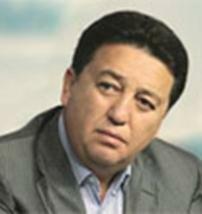 Mr. Faingold, a native of Mol-dova, had previously worked in the post-Soviet states for JDC. JAFI is successful in attracting Jewish young people to Taglit (birthright Israel) trips, offering two departures each year. Although the Jewish Agency cannot afford to operate its own Taglit follow-up seminars, many JAFI participants attend those organized by Hillel. After the actual Taglit experience, Ms. Faingold continued, JAFI encourages returning travelers to enroll in MASA, the longer program (minimum of five months) that enables young adults to study Hebrew, explore Israel, and pursue special interests. In 2011, she said, 110 people from the region (Kharkiv, Donetsk, and surroundings) participated in MASA; 55 percent of them changed their status to that of immigrant while there and it is reasonable to assume that some of the remaining 45 percent who returned to Ukraine also will settle in Israel in the near future. The Jewish Agency also operates various student activities, including training courses for the preparation of madrichim (leaders), in this case, specifically as counselors for JAFI summer camps. JAFI in Kharkiv-Donetsk would operate three summer camp sessions in 2012, each for a specific age group, at a camp near Odesa, stated Ms. Faingold. The Faingolds were due to return to Israel in mid-summer, Ms. Faingold having completed her term of service. In a cost-cutting move, the JAFI office in Kharkiv would be closed following her departure; the JAFI office in Dnipropetrovsk would be tasked with serving all of eastern Ukraine. Indeed, Ms. Faingold observed, the JAFI Kharkiv office had been reduced in size over the three years that she had worked in that city, from three floors in an office building to one floor. Four staff members were working in one room, unintentionally interfering in each other's work; such crowded conditions generated tension and unpleasantness, she observed. 34. 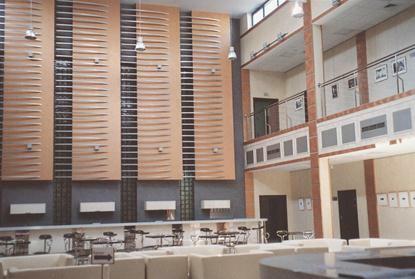 Shortly after the writer's last visit to Kharkiv in late March/early April of 2011, the American Jewish Joint Distribution Committee moved into a new purpose-built facility that serves as head office for the organization and houses both the JDC hesed/welfare center and a Jewish culture center. Unlike the previous hesed, the building is modern and handicapped-accessible; unlike the previous JCC, it is conveniently located in relation to public transport. The new JDC building is situated within easy access of public transportation. The writer spoke with Oksana Galkevich, director of JAFI operations in the city, who later accompanied the writer on a tour of the facility. In response to a question, Ms. Galkevich said that the building is generally known as The Jewish Center at Tobolsky Street, but popularly referred to by the name of the street on which it is located (i.e., у Тобольского in Russian) as is Russian custom. Beit Dan, the historic name of the JCC refers only to the JCC, not the hesed, and "the Wohl Center" refers only to the building, not to the programs operated inside the building. 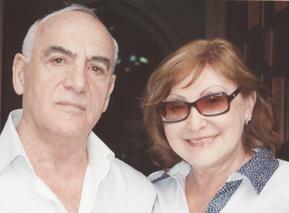 See the writer's Observations on Jewish Community Life in Ukraine March 21-April 8, 2011, page 62, for a more detailed account of the past OU presence in Kharkiv. Some potential olim, however, have relatives in Israel who provide advice and assistance to family members. The average proportion of MASA participants from the post-Soviet states who remain in Israel at the end of their MASA program is 40 percent. The higher share from the Kharkiv-Donetsk area doubtless reflects the depressed economic situation in that region. See page 39, including note 56, for additional information about MASA. Foreigners who change their status to immigrant while traveling in Israel for other reasons, such as tourism, are not included in the aliyah statistics for the city from which they migrated. Thus, aliyah numbers listed according to point of origin often are understated. Typically, JAFI offices include conventional office space for staff, several classrooms for Hebrew-language ulpans, and several small conference rooms. The main room on the top floor in the three-floor Kharkiv office was a multi-purpose room with a small stage. The naming gift was from the Maurice and Vivienne Wohl Philanthropic Foundation of Great Britain and was obtained through World Jewish Relief. Other funders include the American Jewish Joint Distribution Committee and the Conference on Jewish Material Claims against Germany.